From Grand Prix to Pony Finals,barrel turns to hunter lines, and seasoned veterans to green youngsters, 2016 marked a year of success for many equestrians. Equestrian Almanac selected four stars from the year who stood out in their fields by having a strong partnerhship and earning top honors. Athletic and fiercely competitive, these four achievers are piloted by dedicated horsemen and women.The bonds formed by these duos are inspiring, adding another layer of success beyond ribbons. Equestrian Almanac is honored to share the stories of these four combinations, and tip our hats to their achievements. Puissance R proved her cross-country trip from Calabasas, CA to Lexington, KY worthwhile in August of 2016 when she and Jenny Karazissis secured the lead in the first round of the prestigious USHJA Pre-Green Incentive Championship. With over a hundred entries, she ultimately claimed reserve champion overall. 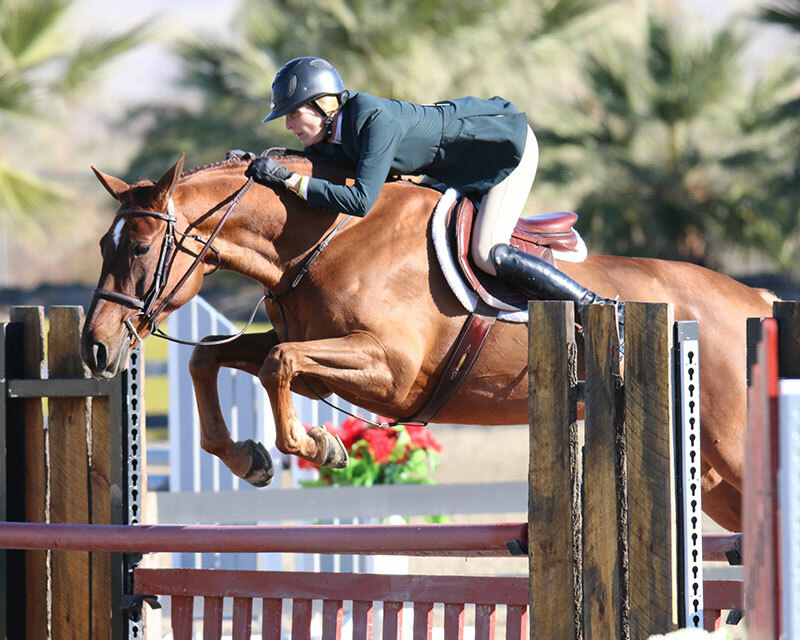 The duo returned home to earn top ribbons in numerous USHJA National Derbies and Hunter Prix all over Southern California throughout the remainder of the year. 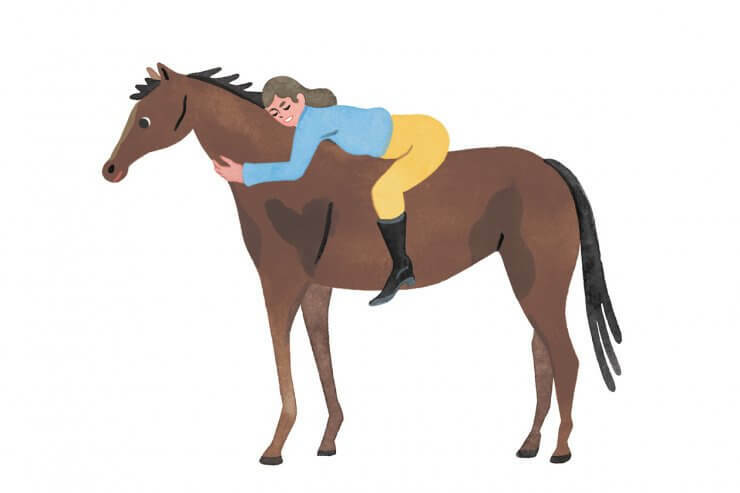 Lisa Hankin, her current owner, was searching for a horse that reminded her of one she had in the past, when she discovered the then five-year-old chestnut mare. In November of 2014, Hankin and her horses relocated from New York to California, and a couple of months later, Karazissis began working with ‘Pui’. The 2015 HITS Desert Circuit was their first time competing together. The relationship grew and flourished rapidly, as Pui took the Pre-Green hunter ring by storm. The horse finished as the top mare, top American-bred horse and second overall horse in the 2016 USHJA Pre-Green Incentive Program Year-End Standings, which calculated total money won by enrolled horses during the year of competition. Pui also finished as champion of the 3’3″ Pre-Green Hunters and reserve champion of the 3’3” Performance Hunters in the 2016 American Hanoverian Society National Hunter/Jumper Awards. Karazissis got to know the mare well after just a couple of horse shows because of the consistency of her temperament. Other than the occasional gymnastic at home, Karazissis mostly practices flatwork with Pui, since the pair’s busy show schedule makes for plenty of jumps on the road. She is a brave competitor and her behavior is quite consistent, so before heading to the ring, all Karazissis needs to guage is Pui’s mood. A little extra energy may require a little extra warm-up, for example. Pui is a sweetheart on the ground. Karazissis noted that she is not at all the typical chestnut mare. She has grown close to her ground man as well as her rider. As the man who sets the jumps in the warm-up ring and greets her with affectionate face rubs when she exits the back gate, Kost Karazissis has also gained the horse’s trust. Karazissis remembered a time when she and Pui set out on the long walk from the barns to the show ring at the Kentucky Horse Park and Kost was trailing behind them. The mare refused to go on until Kost was walking either beside or in front of her. “It was like she wanted to make sure he was there with her,” Karazissis recalled. Karazissis and Pui are venturing into both the Green Hunter 3’6″ ring and the International Hunter Derby ring this year. They have plans of traveling more in 2017, seeking to keep the wins coming along the way. Just over six years ago, a dynamic duo that is now a formidable presence in the international world of show jumping came into being. 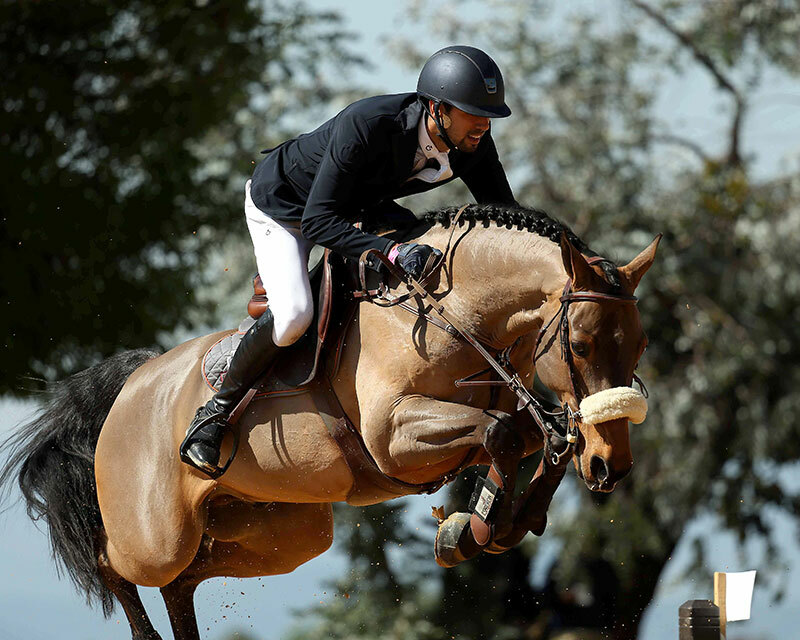 Nayel Nassar and Lordan joined forces in December 2010 when the newly gelded Hanoverian was just six years old. Their bond and ensuing success as a team has grown exponentially since then. Competing all over North America, in California, New York and Nevada in the United States; Langley and Calgary in Canada; and Valle de Bravo in Mexico; Lordan and Nassar have made their mark on the continent. In 2016, they kicked off the year with a win in the Longines FEI World Cup™ Jumping qualifier at the HITS Desert Circuit in Thermal, CA. Over the summer they won two Grand Prix at Thunderbird Show Park in Langley. Spending some time in the east, they finished sixth in the Longines FEI World Cup™ Jumping qualifier in Old Salem, NY, and fifth in the Saugerties $1 Million Grand Prix at HITS-on-the-Hudson. At the CSI5* LA Masters, Lordan and Nassar secured several top honors, including a red ribbon in the Grand Prix. With top finishes in the Longines FEI World Cup™ Jumping qualifiers in Del Mar, Las Vegas and Palm Beach, Nassar earned ample points in the rankings to claim the lead in Longines FEI World Cup™ Jumping Standings for the North American Western Sub-League in early 2017. Lordan’s ability has always been clear to Nassar. Though quite green back in 2010, Lordan was unwavering in his athleticism and talent. Nassar recalled jumping at least 30 jumps the first day trying the horse and that he was perfectly game the next day even after all that work. Nassar keeps the training simple for his trusty steed. He is careful not to over face him and instead focuses on putting him in a position to succeed. Flatwork is the emphasis at home. Nassar uses plain loose ring snaffles without excess aids on his horses, trying to turn their weaknesses into strengths, and keep them happy. “For the most part I like to educate them and have them accept a good education on the flat,” Nassar said, referencing his German riding background with various trainers who specialized in flatwork. The two share an unbreakable bond. Lordan was quite spooky when Nassar first got him, but now they trust each other implicitly. “He would jump anything for me,” said Nassar, the only rider to jump Lordan since he was six. Though a messy eater – Nassar described Lordan filling his mouth with mash only to spread it all over the walls of his stall – Lordan is a careful horse. Nassar noted that although the horse is kind and takes care of him, he is acutely aware. “He’s smart and aware of his surroundings. He thinks before he acts. He doesn’t react – he thinks first,” Nassar said. The relationship is a two-way street. Nassar relies on Lordan to be his partner against some of the fiercest competition in the world, but in return, Lordan demands Nassar’s full attention, objecting to phone calls and other distractions. The duo certainly cleaned up in 2016. And this year is already off to a successful start with a win in the $216,000 Longines FEI World Cup™ Jumping qualifier at the Palm Beach Masters. May 2017 continue to bring in the blues. Evelyn Walker first laid eyes on Royal Moment at the Devon Horse Show in late May of 2016. The nine-year-old girl and the seven-year-old pony (now eight) partnered up and proceeded to create a successful bond. 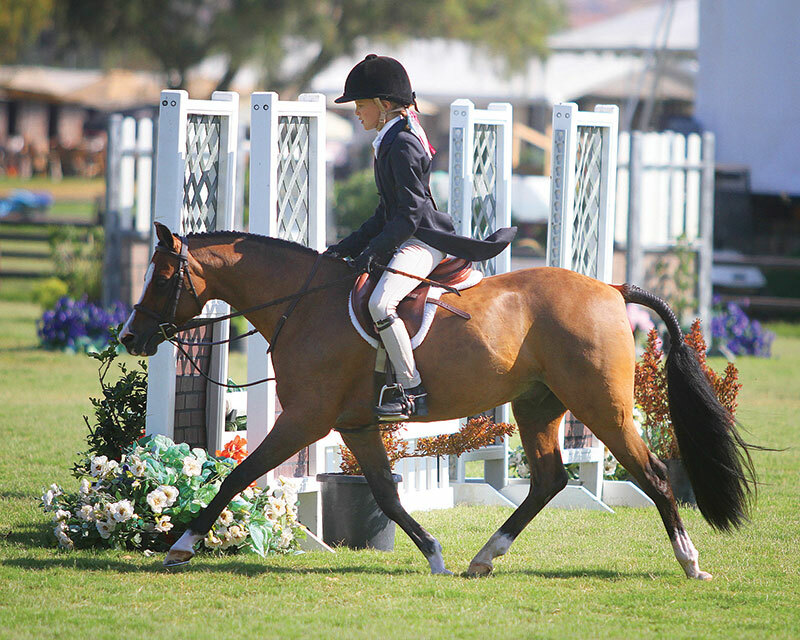 Walker and Royal Moment, known as “Owen” around the barn, took on the Zone 10 Pony Hunter Challenge in June, earning titles of Small Pony Hunter Champion and Overall Reserve Grand Champion with over fences scores of up to 88. Just two months later, the duo ventured, along with hundreds of other ponies from around the nation, to the highly competitive US Pony Finals in Lexington, Kentucky. Walker led Owen to the win in the model class of the Small Regular Pony Hunter division and rode him to a third place finish in the under saddle. Two of the three judging panels gave the pair under saddle scores in the 90s. 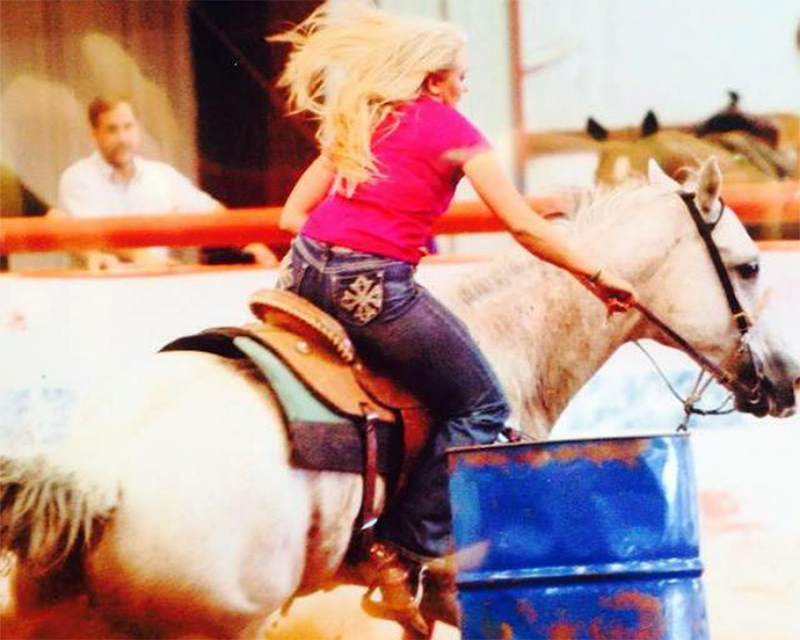 As the young pilot of a young pony, Walker cherished her success at the Finals as an important memory in her blossoming relationship with Owen. “I couldn’t believe it. I was so happy!” Walker recalled with joy. She and Owen are well acquainted with success, but they still work on perfecting their partnership every day. The Welsh Pony gelding thinks he is a stallion at times, according to Walker, though he is all in all a gentleman who always has her back. Although Walker has proven her nerves of steel, riding among such stiff competition can place heavy pressure on the shoulders of a youngster like Walker. Trainer Michael Savage has been an essential part of Walker’s development on the show scene. He devised a plan some time ago to aid Walker in keeping track of her courses and plans. She arrives to the show at sunrise to sketch the day’s courses on a dry erase board, walking them after to learn them visually. Indeed, Walker feels grateful for the guidance Savage has given her. Walker and Owen plan to continue competing in the Small Pony Hunter division this year. As their bond strengthens, so will their partnership as they close on one year of working together this May. A key learning experience for both, the small bay gelding has made an impression on Walker.